The Best Montana Blogs from thousands of Montana blogs in our index using search and social metrics. We’ve carefully selected these websites because they are actively working to educate, inspire, and empower their readers with frequent updates and high-quality information. Missoula, MT About Blog This Glacier Country Montana blog is written and curated under the big sky by a group of Montana-obsessed adventurers. We're dedicated to promoting tourism to Western Montana. Interested in happenings in Glacier Country. Facebook fans 313,521. Twitter followers 10,609. Great Falls, MT About Blog Welcome to Central Montana! We feature places to visit, things to see and do, tourist information, and the genuine side of life in Montana. Facebook fans 40,018. Twitter followers 168. Deer Lodge, Montana About Blog Montana tourism information for Southwest Montana. Montana travel - plan your Southwest Montana vacation today. Our misson is to promote economic development through tourism and film production for Southwest Montana Tourism Region of the nine counties of Beaverhead, Broadwater, Deer Lodge, Granite, Jefferson, Lewis and Clark, Madison, Powell, and Silver Bow County. Facebook fans 54,322. Twitter followers 2,776. Missoula, Montana About Blog Make it Missoula features blogs by a number of current and former Missoulians who share their unique experiences and perspectives about Missoula, Montana. Facebook fans 21,829. Twitter followers 1,022. Montana, USA About Blog The Montana Post is a blog about Montana politics. Find articles on Montana politics, Education, Culture, Media and more. Facebook fans 1,825. Twitter followers 541. Montana, USA About Blog I am a writer, speaker, and mentor helping people design an intentional lifestyle that matches their dreams, goals, and values. I focus on intentional living, creating financial freedom with frugality and building new income sources, and taking time away from the traditional 9-5 to make space for everything that matters with mini-retirements/early retirement/or a lifestyle business! You will find the encouragement and know-how to master your personal finances and custom create your ideal life! Facebook fans 536. Twitter followers 3,314. San Francisco, CA About Blog This site is meant for all Montanans, as well as those who wish to visit, or learn more about our beautiful state. This subreddit adheres to the "dinner table talk" rule - that means no national politics or religion. Facebook fans 1,186,762. Twitter followers 554,285. Western Montana About Blog This a business to business blog by Glacier Country Montana. Facebook fans 313,524. Twitter followers 10,609. Bozeman, MT About Blog Learn about fun things to do in Bozeman or just keep up with all the is going on around town. Facebook fans 52,009. Twitter followers 6,656. Helena, Montana About Blog Montana Wilderness Association is a community of people who love the outdoors and champion wild places. Our mission is protecting Montana's wilderness heritage, quiet beauty and outdoor traditions, now and for future generations. Facebook fans 59,712. Twitter followers 1,808. Montana, USA About Blog Political Gossip, Satire, and Analysis from MT's Capital City. Facebook fans n/a. Twitter followers 1,179. Missoula, Montana About Blog Missoula Montana whitewater rafting & scenic river trips on the Alberton Gorge & Blackfoot River. Daily river boarding, kayaking & rafting near Missoula & Coeur d'Alene. Facebook fans 1,128. Twitter followers 148. About Blog Traveling Mel is Melynda, a freelance writer residing in Livingston, Montana. I started this blog to provide information about traveling in Montana and Yellowstone. We loves sharing tips and information to help you enjoy your own adventures. Facebook fans 1,217. Twitter followers 1,372. Montana About Blog My name is Joellyn Clark, and I am a creative soul in a farm wife body. This blog is about my work and my life. This is a lifestyle and design blog about living creatively on a Montana farm. Montana About Blog I am interested in sharing experiences and insights about skiing, climbing, training, and various other outdoor pursuits in Western Montana. Bozeman, MT About Blog Montana Treasures is photography, fly fishing apparel, and cabin decor designed for people who love the great outdoors, fly fishing, and the State of Montana. This blog includes articles on product design, inspiration, and discovering Montana and its many treasures. Facebook fans 6,430. Twitter followers 12. San Francisco, CA About Blog Welcome to Missoula, MT! Home to the University of Montana and the Missoula Osprey, the Garden City is truly the jewel of Montana. Facebook fans 1,186,761. Twitter followers 554,285. Montana About Blog Recently retired to the mountains of northwest Montana from the desert of Boise, Idaho. 19. Trendsetters at The U | "Paving the way to Missoula's fashion revolution"
Missoula, Montana About Blog Trendsetters at The U provides the University of Montana with the first fashion blog created by students. Facebook fans 681. Twitter followers 165. Western Montana, MT, United States About Blog I have been married for 40 years, to my best friend. We have two beautiful daughters and two cats, Sam cat who is 17 and Bessie who is 5. Moved to Montana in 1974 from New Jersey and have never looked back. I work for an Alternative High School and it is the best job I have ever had. I call this my retirement job - it's part-time, I can do it till I retire which will be after this year, and it is so much fun! I use my blog as a secondary journal, to keep a record of the events in my life. 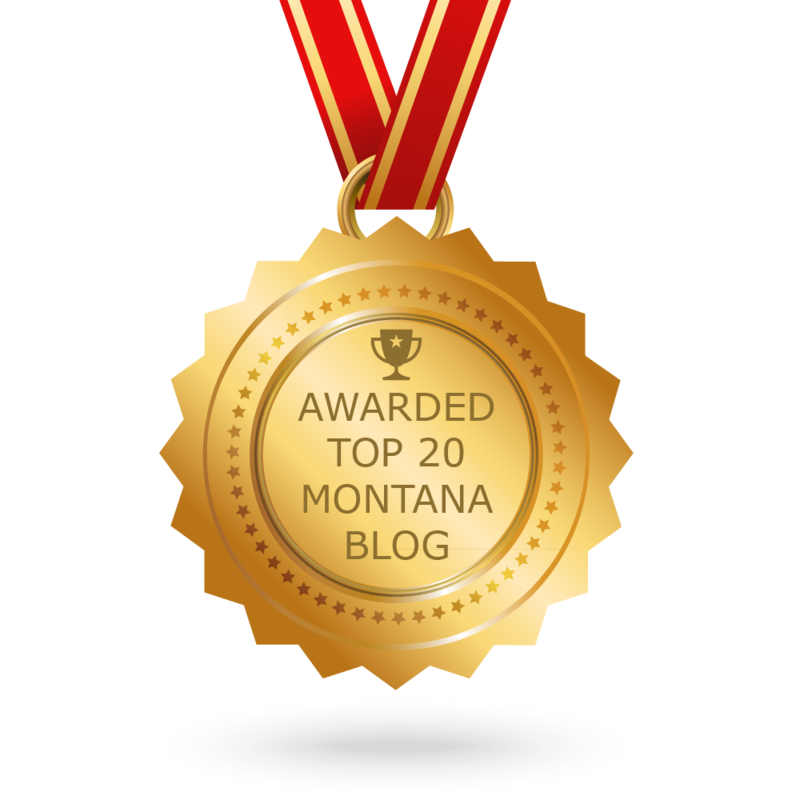 CONGRATULATIONS to every blogger that has made this Top Montana Blogs list! This is the most comprehensive list of best Montana blogs on the internet and I’m honoured to have you as part of this! I personally give you a high-five and want to thank you for your contribution to this world.